My youngest daughter is addicted to pasta. She'd eat it for breakfast, lunch and dinner given half a chance. But, I'm concerned she's eating way too much wheat and gluten overall, so I’ve decided to try out some alternative grain pastas. 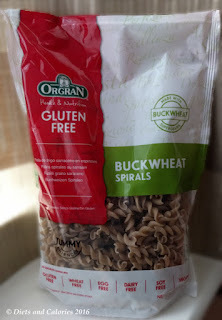 The first alternative pasta I purchased was the Gluten Free Buckwheat Spirals made by Orgran Health & Nutrition. They state they are dairy free (I should hope so! ), wheat free, egg free, gluten free, soy free and vegan. 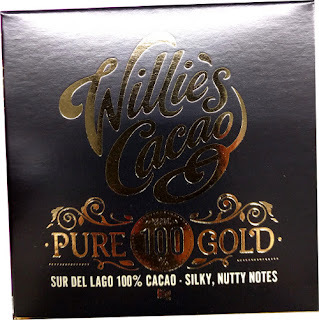 So what's actually in them and what do they taste like? These buckwheat spirals look just like regular (wholewheat) pasta but they’re made from 80% buckwheat and 20% rice flour. Buckwheat isn’t actually wheat, or a grain for that matter. It’s a fruit seed which makes it suitable for those who are sensitive to gluten and gluten containing grains. Buckwheat may be beneficial in lowering glucose levels for some people. However, I was more interested in whether my daughter found these an acceptable alternative to her regular pasta. One point to note is that gluten free doesn’t mean it’s lower calorie. It’s still predominantly a carbohydrate. 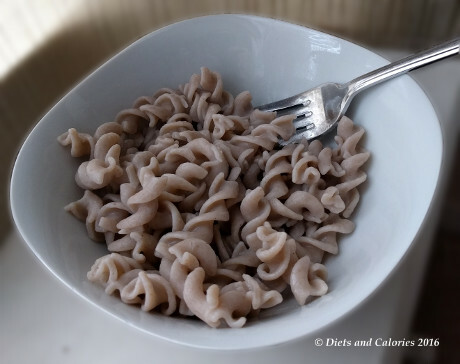 When it comes to calories, there’s not much difference between these buckwheat spirals and regular wholewheat pasta spirals. Per 100g prepared spirals, buckwheat spirals have 157 calories. Taking a look at Wholewheat Fusilli Waitrose Love Life pasta, theirs has 156 calories for the same amount. You cook buckwheat pasta just the same as regular pasta. Boil or simmer for 8 minutes, then drain and rinse and warm water. I had to let my daughter be the judge of this since I’m not a fan of pasta. I did taste a couple of cooked spirals though. They’re a bit chewy with a slight granular texture. But not really much different to wholewheat pasta in taste. She was quite happy with these, and didn’t notice any difference from her usual pasta. So on that basis, I'm going to keep on with the gluten free pasta but will try a few different brands for comparison. 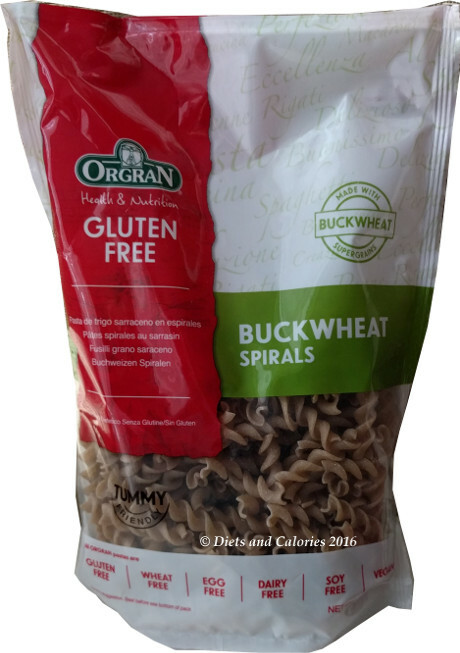 Orgran’s Buckwheat Spirals from Ocado for £1.99 for 500g pack. Kosher, vegetarian friendly. 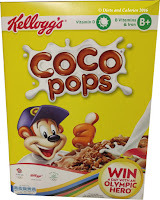 Besides all the free from information listed above it’s also free from preservatives, colours and flavours. 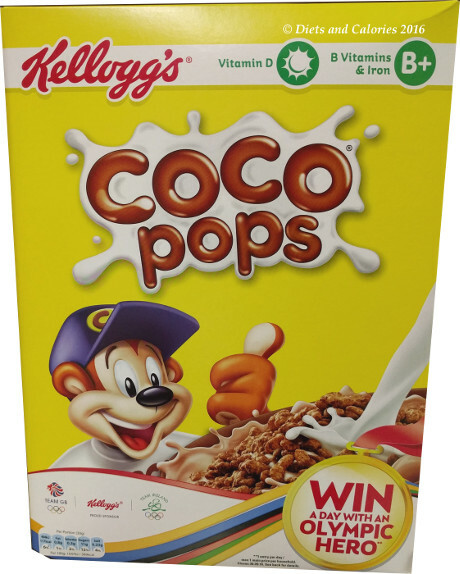 Nutrition per 100g dry: 362 calories, 2.8g fat, 0.6g saturates, 64.1g carbohydrates, 2.5g sugars, 8.3g fibre, 11.2g protein, 0g salt.